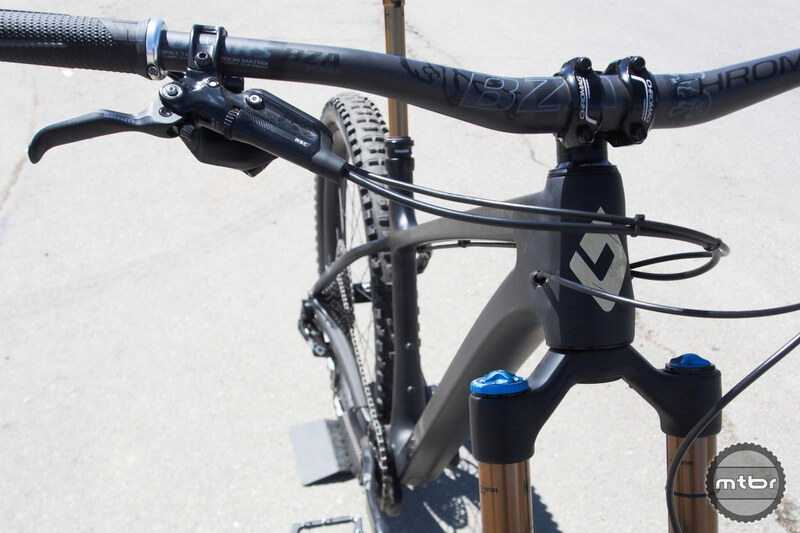 The soon-to-be-released Sync’r Carbon aims to put the fun back into riding a hardtail. Count Diamondback among the bike makers embracing the “playful” hardtail market. Coming later this summer is the new Sync’r Carbon, which replaces the outgoing aluminum Sync’r Pro. Headtube angle is a downhill friendly 66 degrees. But the 74-degree seat tube angle means it’ll still claw uphill with ease. The primary difference, of course, is that the frame will be constructed from carbon, which will help shave significant weight. The playfulness comes from the inclusion of a 140mm Fox 34 fork, which will play nice with the 66-degree headtube angle and short 435mm chainstays. Seat tube angle is set at 74 degrees and the frame can handle 27.5+ or 29er wheel set-ups. 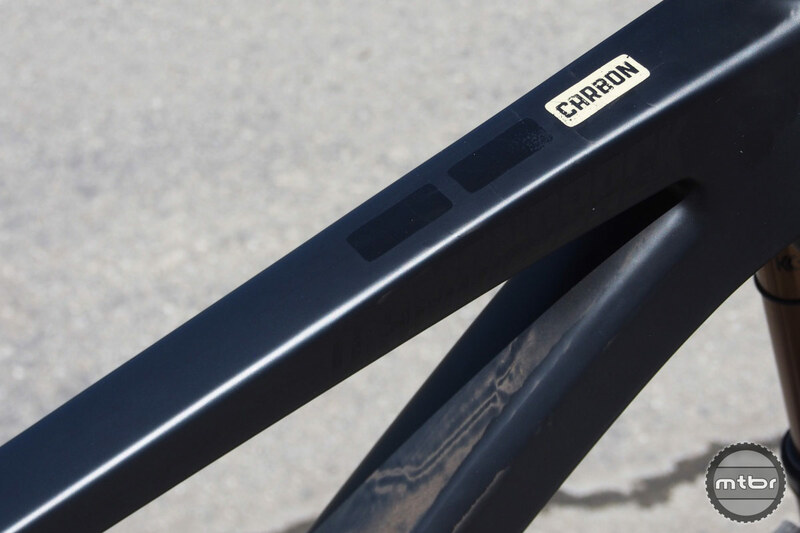 The matte black carbon frame will help keep weight low. 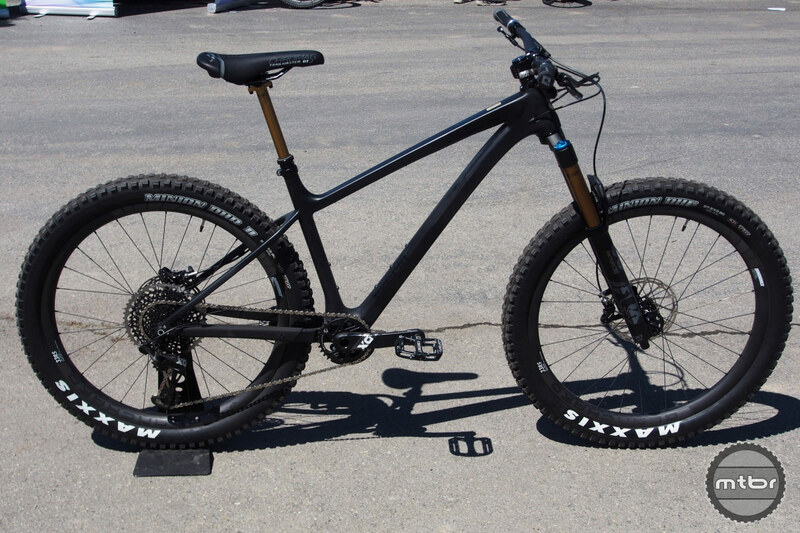 Final spec has yet to be set, but the matte black frame will likely come dressed with Diamondback house brand aluminum wheels and a SRAM GX Eagle 1×12 drivetrain. Expect price to fall in the $2200 to $2400 range (sold direct to consumer), and the bike will be part of the Diamondback Custom Studio where you can upgrade various parts to suit your budget and desires. Diamondback ambassador Eric Porter approves. Keep an eye on www.diamondback.com for more details. How about a short travel FS version too? And I am not referring to just the recoil, release or catch. Short travel, just enough to take the bad landing, but still at heart a bike to mess around and launch off things on. You really don’t think the Release falls into that category? I mean I suppose a 130 front 110 rear would be a cool bike from Diamondback, but the Release is plenty playful imo. 2005 is calling. They want their “short chainstays” back. I’m not saying it won’t be fun to ride, but these stays ain’t short. That length is the long setting on my SS frame. If this could fit 29×2.6 or 275×3.25, I’d be all over it as a bikepacking rig. Unfortunately these days, we’re back to ever-shrinking tire clearances, and it will likely fit 275×2.8 and 29×2.3. Otherwise, looks fun. Yea, not the shortest chainstays, but should be great as a more aggressive XC/TR machine. Dope! Now it needs swappable SS dropouts, I’ll trade in my Pivot Les for one of these since it’s the same idea with more aggressive geo.